We all know that keeping things organized during the school year is tough. This goes for every aspect of our lives. However, too often we will let our digital files get wildly out of control. With virtually everything in class these days happening on our computers, we don’t truly realize how easy it is to lose track of files until we’re scrambling at the very last moment to find them amongst a sea of documents. So, what’s an unorganized college girl to do? 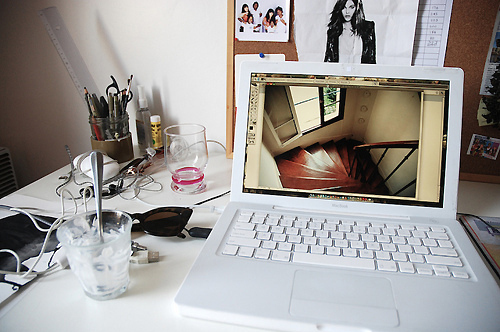 It’s hard enough keeping things together in a dorm or on a desk, so the task may seem daunting at first. Luckily, there are tons of things to do to prevent technological disarray. Here’s how to fix digital organization problems -- and even prevent them from happening! This is done most easily if you’ve bought a new computer for the new school year. That way, you can train yourself to organize while you create new documents, so the problem never occurs. If you’re already in a bind with file overload, no worries. Old dogs can, indeed, learn new tricks. 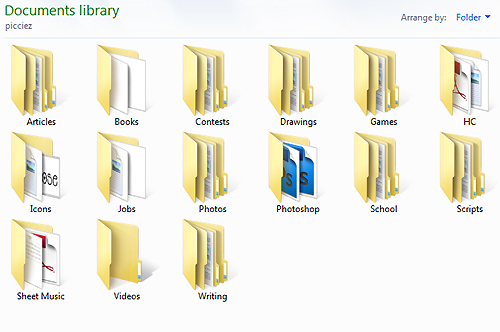 But first thing’s first: make folders. It doesn’t matter how you remember things and keep them separate -- just make sure you do. 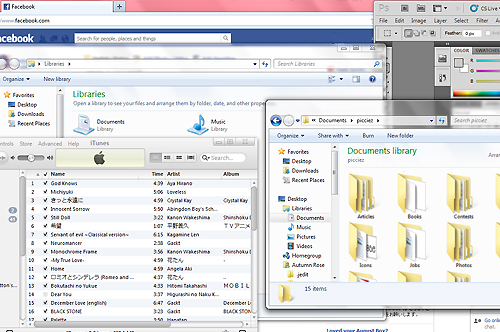 The most common problem is having files from different categories mixed together. How can you expect to find your American Literature midterm in the middle of your iTunes shopping spree? Last time I checked, Justin Bieber and F. Scott Fitzgerald don’t have too much in common ... so just make folders for everything individually. The next step is ... you guessed it! More folders. Now, you don’t have to have sub-sub-sub-folders for things, but if you have a lot of things, you’ll be needing to keep everything separate. Make a folder for your assignments for both the spring and fall semester, and separate those from your assignments the subsequent year. If you can, get rid of unnecessary files each time you have a new term, unless you have super important notes you can use in the future, or you just want to be able to refer back to some of your old essays. “Getting rid of” doesn’t have to mean deletion, either. 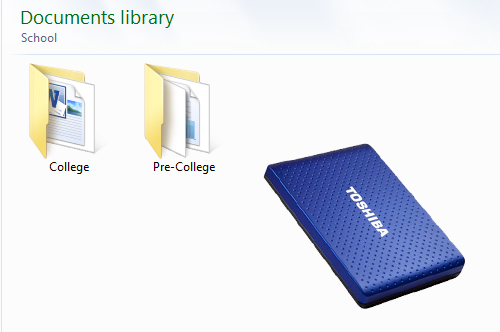 A very wise investment for college would be a portable hard drive. These are especially helpful for backing up all of your files in general, as well. You never know when surfing on an unsecure network at the local coffee shop could end up giving your computer a nasty virus that requires you to restore your entire system to factory settings. Back up as often as you can so you won’t lose precious documents. Having a portable hard drive makes this extremely easy and also allows you to delete old, useless files and free up space all while keeping them on the side. Try not to throw too many junk files in with your important ones. You may end up with the same situation you started with if you do this. 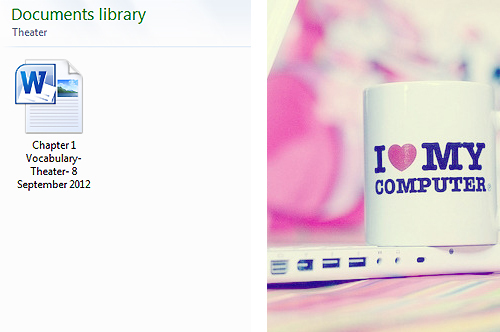 If you absolutely have to save every list you saw on a random site or a document full of Chanel quotes, make yet another folder specifically for your random antics. Just always know exactly where everything belongs, and group together things by their similarities so it makes finding them easier. Last but not least is the importance of naming your files as specifically as possible. Sure, “theater hw” may be an acceptable name to you the first week of school, but after stacks and stacks of “theater hw1” and “theater hw2” you may grow weary of the vagueness you allot to your files. Make sure there will be no doubt in your mind about what’s inside of each file or document. Give it a definitive title, a tag, and even a date, if possible. That way, you’ll never be confused about what you’re clicking on. While it may seem a drag to type out so much for a simple name, you’ll be thanking yourself later. After all, your computer is your friend! Tackling an organization task like managing your digital files may seem scary at first, but the thing to keep in mind is yourself. What works for you? What can you do to make things easiest for you? With these questions in mind and the advice above about taking on the job, you should be well on your way to having complete and total control over the organization of all of your digital data. such a great story idea!